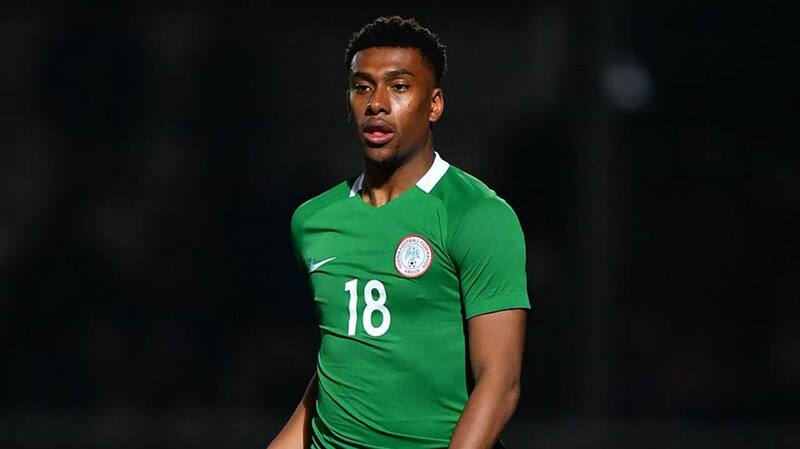 Arsenal forward, Alex Iwobi and Chippa United of South Africa goalkeeper, Daniel Akpeyi, who missed Super Eagles’ back to back encounter with Cameroun early this month, have returned to the squad billed to tackle Zambia in a crucial Russia 2018 World Cup qualifier in Uyo next month. Nigeria needs to beat Zambia in Uyo on October 7 to pick the Russia 2018 World Cup ticket ahead of the Zambians, who must upset the Eagles in the game to stand a chance of going to next year’s Coupe du Mundo. Nigeria beat Cameroun 4-0 in Uyo and drew 1-1 in Yaoundé, while the Zambians got the better of higher rated Algeria home and away to resuscitate their chances of beating the Eagles to the ticket.While the Zambians started preparations for the game on Monday, Nigeria’s coach, Gernot Rohr yesterday announced the names of players he would use to prosecute the match against the Chipolopolo. The list released by the Nigeria Football Federation (NFF) is made up of mostly the players that beat Cameroun in the last round with the exception of Dele Alampasu, who has made way for the returning Akpeyi. China-based skipper, Mikel John Obi leads the squad, which also has forward Odion Ighalo (also based in China) and England–based Victor Moses. Rohr also retains Leon Balogun, Abdullahi Shehu, William Ekong and Elderson Echiejile, midfielders Wilfred Ndidi, Ogenyi Onazi and Oghenekaro Etebo and forwards Ahmed Musa, Kelechi Iheanacho, Moses Simon, and Anthony Nwakaeme, who were in the team that decimated Cameroun. In the standby list with Alampasu are Tyrone Ebuehi and Aaron Samuel, as well as Ifeanyi Ifeanyi and Afeez Aremu, who were part of the Super Eagles B that finished as runners –up at the just concluded WAFU Cup of Nations in Ghana. They will, however, join the team’s training sessions in Uyo.All the invited players are expected to report to camp on Monday, October 2. Goalkeepers: Daniel Akpeyi (Chippa United, South Africa); Ikechukwu Ezenwa (FC IfeanyiUbah); Ayodele Ajiboye (Plateau United FC). Defenders: William Ekong (Bursaspor FC, Turkey); Abdullahi Shehu (Anorthosis Famagusta, Cyprus); Leon Balogun (FSV Mainz 05, Germany); Elderson Echiejile (Sivasspor FC, Turkey); Uche Agbo (Standard Liege, Belgium); Chidozie Awaziem (Nantes FC, France); Olaoluwa Aina (Hull City, England). Midfielders: Mikel John Obi (Tianjin Teda, China); Ogenyi Onazi (Trabzonspor FC, Turkey); Wilfred Ndidi (Leicester City, England); Oghenekaro Etebo (CD Feirense, Portugal); John Ogu (Hapoel Be’er Sheva, Israel); Mikel Agu (Bursaspor FC, Turkey). Forwards: Ahmed Musa (Leicester City, England); Kelechi Iheanacho (Leicester City, England); Moses Simon (KAA Gent, Belgium); Alex Iwobi (Arsenal FC, England); Odion Ighalo (Chang Chun-Yatai, China); Victor Moses (Chelsea FC, England); Anthony Nwakaeme (Hapoel Be’er Sheva, Israel). STANDBY: Dele Alampasu (Cesarense FC, Portugal); Tyronne Ebuehi (ADO Den Haag, The Netherlands); Aaron Samuel (CSKA Moscow, Russia); Afeez Aremu (Akwa United); Ifeanyi Ifeanyi (Akwa United).